In February 2013, the Project for Public Spaces (PPS) published the results of a study, completed in partnership with Columbia University and funded through the Robert Wood Johnson Foundation, which studied what market characteristics successfully attract low-income shoppers. 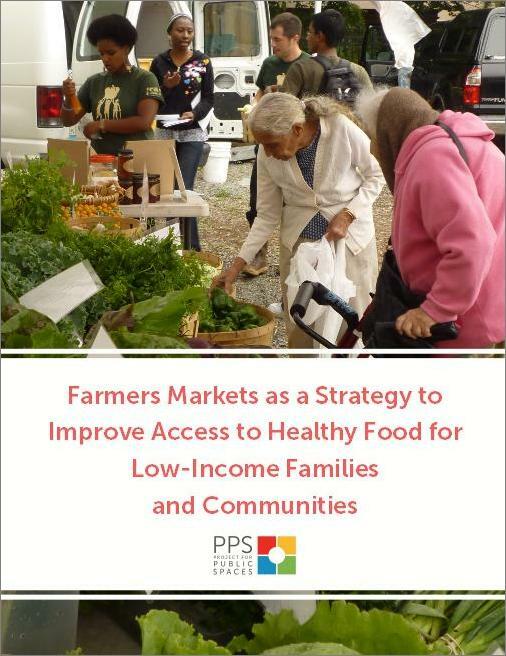 The study also explored what obstacles may prevent low income individuals from shopping at a farmers market when one existed nearby, as well as how children- and youth-oriented farmers market programming affect orientation to healthy eating. Click the image below to download a PDF of the publication.